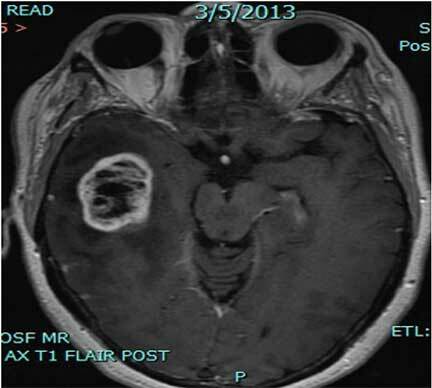 MRI Scan of Glioblastoma multiforme. Two major challenges of treating glioblastoma multiforme have been the type and location of these aggressive brain tumors.¹ Surgical tumor resection is difficult due to the widespread nature of gliomas. Chemotherapeutic treatments are often unable to cross the blood-brain barrier or cannot be confined to cancerous cells only, thus causing toxicity in normal tissue.¹ One viable option is targeted therapy, which can result in both improved chemotherapeutic and surgical results. Research initiated by Achuthamangalam Madhankumar, Ph.D., assistant professor of neurosurgery at Penn State Hershey, has shown it is possible to use targeted nanovesicles to carry anti-cancer drugs or contrast agents selectively to tumor cells. The latter approach enhances tumor visibility, enabling the surgeon to more accurately assess the extent of the tumor. 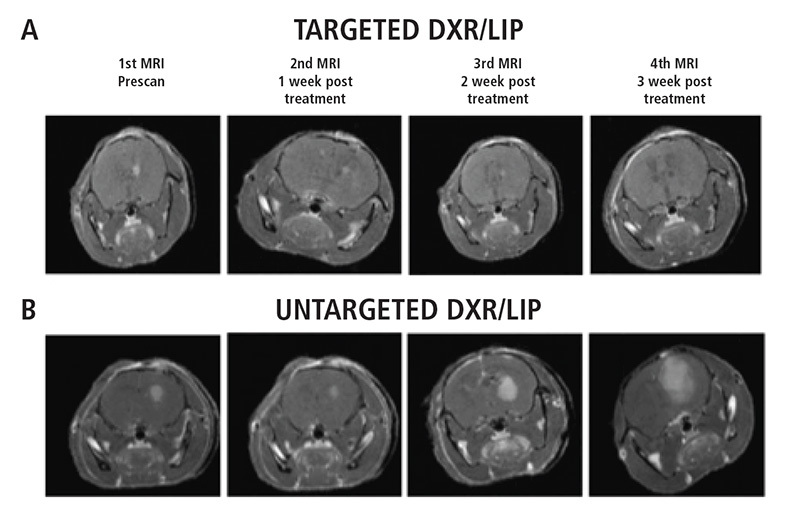 In addition, because of the unique expression of the interleukin-13 (IL-13) receptor on certain types of brain tumors, this targeted delivery system may be useful in the diagnosis of tumors.